The Design of the Times Awards Competition recognizes the most inspiring and creative in-store activation tactics and campaigns. The Path to Purchase Institute wanted a website to match the prestige of the awards. 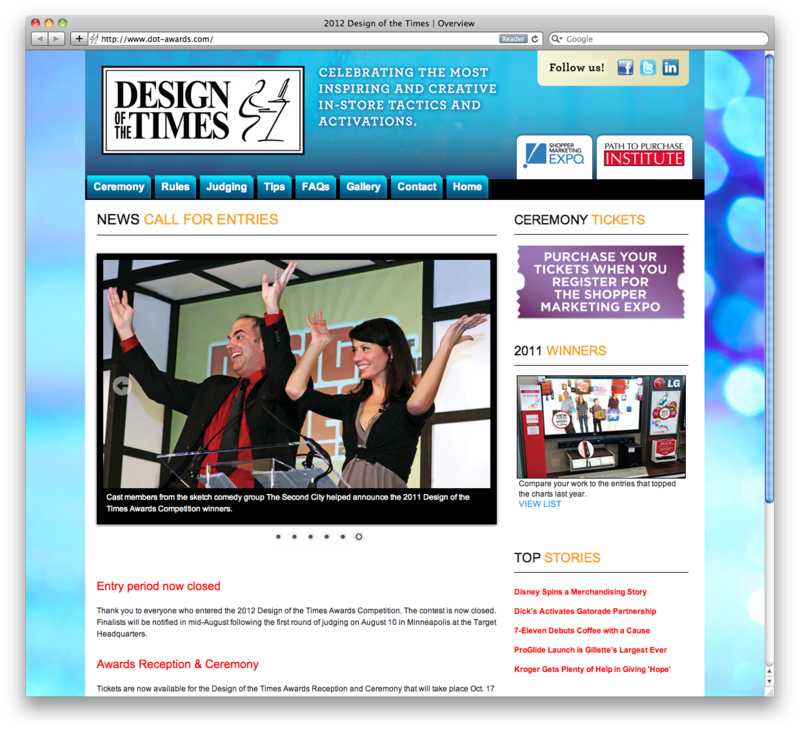 Sparkfactor designed the templates and HTML for this awards site.